After a Sunday of relative calm and relaxation (translated as not going out shopping or any of the other of the domestic duties usually associated with the weekend!) I was able to compete the refurbishment of the casemate ironclads as well as giving the assorted rams/gunboats their hardware. The guns from Peter Pig have really set the models off and I was surprised to see that the casting even has the crew cast on with the piece. I has ordered two packs of each size - the large deck gun and the medium version with the former mounted at the bow and the latter aft. I was also thankful that my decision to replace the hulls with longer versions appeared to have fully vindicated at the artillery looks right in terms of the space occupied by the gun mount. 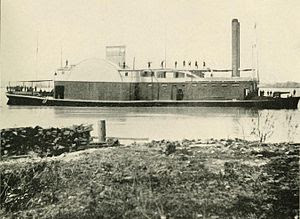 The Confederate Casemate Ironclads in their original configuration. The ironclads also benefited with new hulls for four of them and a reshaping of the one that was left. Again, changing the gun ports to 5mm by 4mm for the original 5mm square has made a huge difference with the models visual 'balance'. It took a while though adding 50 (yes fifty!) gun ports and this is not a task best undertaken when bleary in mind and body! I am far happier with the end result rather than the original though - although to be fair I was equally pleased when they were first built - and it shows how much difference newly acquired model making experience can change ones perception! The same Confederate ironclads after their refurbishment. CSS Baltic is under construction - along with the USS Essex and a further Cairo class gunboat and so now that the retroactive refit has been completed I am now clear to proceed. It does mean though that my target to having 24 models completed by the end of January will sadly be missed although having managed three quarters of the total is still pretty credible! After having finally completed the USS Indianola I have been able to apply myself to the previously mentioned task of refurbishing the casemate ironclads. If you recall I was originally intending to merely replace the gun ports and the pilot houses. Needless to say, events have moved on from this idea and so I am now finding myself changing the hulls on four out of the five models as well! Finally, my order from Peter Pig arrived for the large and medium deck guns and they are absolutely brilliant! This means I can give some teeth to the Confederate rams/gunboats and the two versions of the General Price. I hope to get all this work completed over the weekend as well as the CSS Baltic and possibly the USS Essex. Busy times indeed - but it will be worth it! At long last and after much frustration, I have FINALLY finished the USS Indianola! She was a real pain to put together simply because of the small casemate forward - I have learned that making these on the model rather than off it is not a good idea when your basic construction technique relies heavily on, what I would term, 'aggressive filing'! The central core of the casemate was a carefully cut and shaped two spot 'Mega Blok' which is a cheaper version of Lego but is made from a far better (for modelling purposes anyway) plastic. I shall use this idea going forward as now I have gone through the teething troubles of this technique it will be useful for some other models I have in mind. Everything else was the usual balsa wood and craft sticks with the odd piece of plastic card where needed. The biggest problem I experienced though was trying to establish exactly what the ship looked at. I was working from three sources, each of which was different in some way so in many respects the model is very much a compromise 'artists interpretation'. The final result will, as with my other models, probably have the rivet counters reaching for the tranquilisers but she is close enough for my purposes and does look quite impressive; albeit it larger than I would have liked. The paddle boxes were made in the fashion you see rather than the casemated version simply because a/ I had misinterpreted a picture I had seen of the ship (actually a line drawing), b/ they were easier to make and finally c/ the style was used on some later Union ships so I can claim (probably without justification!) that this was an earlier experiment in the technique! Indianola-esque is probably a better description of her but she is fine for my uses in any event so USS Indianola she will remain. On with the next batch then and with a surprise or two appearing in the casemate ironclad refurbishment agenda - more of which later. The above picture shows the Confederate Rams with the original hulls. The second picture shows the vessels with the new, longer hull, ready to take onboard the guns with which to terrorise the Yankees! You can easily see the difference between the two. I have previously mentioned that at the present time work is greatly impacting on my available time for gaming, modelling or indeed just about anything that can be described as relaxation! Last night was no exception as I arrived home after a long and gruelling day of testing a new system at a ridiculously late hour. The work is not difficult but it is both time consuming and tedious and as it is being tackled as a parallel run with the usual daily business in effect I am doing everything twice. I am currently contracting for an American company and as the US was closed on Monday for Martin Luther King Day it meant that the effects of the first business day of the US week (Tuesday) hit the London office yesterday with a vengeance. Mercifully the current round of testing comes to an end this Friday so things should be back to what passes for normality. I can only offer belated apologies for my non-appearance at the club last night - suffice it to say I shall be in contact with those members I was keen to see independently. In a spirit of defiance I made a point of tackling a small task when I had eventually arrived home and after having eaten, the results of which you can see in the picture above. These are the three Confederate rams complete with the new (and longer) hulls. These seem quite long and bare compared to the original version but that is simply because they are awaiting the fore and aft deck mounted artillery that I have ordered from Peter Pig. They look a whole lot better than the previous version and once the guns have been added will look suitably imposing on the tabletop. 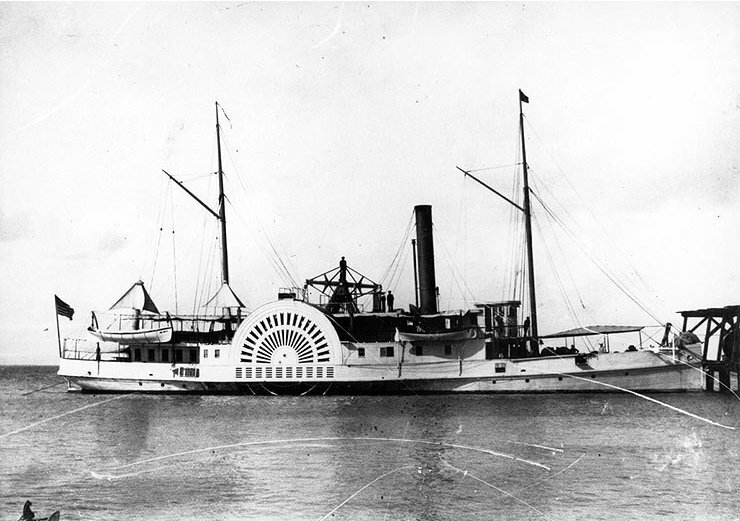 I have also decided on the final 7 models I shall be constructing to make up the initial 24 to be completed before I start painting and these are as follows: CSS Baltic, USS Essex, USS Indianola, 2 more Union rams and a pair of timber clad Union gunboats. The monitors and 'walking beam' ships will feature in the next batch. Due to continuing pressure of work my time for modelling (or for anything else come to that!) during the week is limited which explains the slow down of my ACW scratch building project. Last night was no exception but I was able to make a start on the refurbishment of my Confederate casemate ironclads and rams. I was able to very carefully remove the existing gun ports and pilot houses from the casemates and also the hulls from the rams and then to effect the necessary clean up. It was a fairly straightforward task with no great disasters resulting, except that the ram hulls were pretty much destroyed during the process but this was not unexpected. The existing gun ports came off very tidily and are in fact reusable so rather than cutting a whole new batch out I can merely trim these by the required millimetre and reapply to the model. The pilot houses will be new but will not be difficult to make. That leaves the hulls - again, easy enough to do and the mock up I tried before calling it a night looked a whole lot better than the existing original so it fully justified my decision to undertake such an apparently drastic course of action. A great piece of news arrived via email for this project yesterday when Martin Goddard - owner of Peter Pig - responded to my enquiry about the availability of 'walking beams' (see the pictures for details - USS Delaware shows quite clearly the mechanism) as a spare part from his Hammerin' Iron ACW ship range. The answer was yes for which I was very pleased as these pieces of machinery are very fiddly to construct, so much so that I was not even going to make the attempt. Having these available means that a number of vessels I had originally discounted are now back in contention for building during the next phase of my project - after the first 24 models have been completed. This means that my original overall target of 36 models is viable and as it is concentrated on the river the number of blue water ships (and the associated problems with masts, spars and sails!) will be minimal - at the moment anyway but who knows? Above are the 'bare bones' completed models of the two General Price steamers - awaiting their deck mounted artillery. I have abandoned any idea of scratch building such items of kit and so an order to Peter Pig was duly sent yesterday for some medium and large deck guns from their Hammerin' Iron range of ACW ships. I have also decided to rework slightly some of the models - particularly the casemate ironclads as I want to reduce the size of the gun ports to 5 x 4mm rather than 5 x 5mm. I know its only a small change but it looks a whole lot better. This will also give me the chance to tweak the models as the smaller casemate ironclads should only have a single gun port fore and aft. I will also change the pilot houses to something a little more representative. the biggest change though is to the Confederate Rams as I will need to give them larger hulls in order to accommodate guns fore and aft. This is not difficult to do but I will need to be careful - luckily the hulls are separate from the superstructure so it should be merely a case of cutting them off and putting the new and larger hull in its place. It is funny how when you look at earlier models with a critical eye as your technique improves - it gives rise to an itch that no amount of scratching can cure unless you change it! I was very pleased to be able to have a lunch hour today (a very rare occurrence these days!) and was able to have a wander to Charing Cross Road and one of my favourite cheapo bookshops called Lovejoys. Passing over the somewhat exotic nature of the contents of the basement (shades of Kenneth Williams....'Oooooh, Matron...!) the ground floor is a veritable goldmine of remaindered books and cheap edition paperbacks. I was especially pleased to come away with two titles (trust me, it could have easily been debit card meltdown...! ); one of which I have been after for a while and the other I should not have gotten rid of in the first place! I am very interested in naval warfare in the 16th century and I have acquired over time a modest but adequate library of books covering both the Mediterranean and the Atlantic and warfare involving both galleys and galleon. Angus Konstam features heavily in this section of my library and the Osprey hardback - The Spanish Armada - whilst winning no prizes for the originality of its title would be a welcome addition to any gamers bookshelf with an interest in the period. As is usual with these Osprey hardbacks the contents make use of a number of existing titles and so to an owner of the Men at Arms, Campaign and Vanguard books this may not seem a good deal. HOWEVER, if you are not in such a fortunate position (and I count myself in that category for the Armada!) this is a an absolute goldmine. There are orbats, colour plates of troops and ships, comparisons of gun types, maps, line drawings and potted biographies of the commanders and a brief examinations of the tactics of each side and how they evolved. The Germans who never lost indeed. I have a soft spot for this part of the Great War and indeed was trying to do something with the period a couple of years ago but gave up and disposed of all the kit - especially the library. That was a big mistake! Now this is something that looks very intriguing. Zvezda, the Russian figure manufacturer has produced a WW2 game based on Operation Barbarossa in 1941 with not only a cracking looking starter set but also the supporting models available separately. Not only does the game hardware look very nice - I was taken with the choice of 1/100th for the vehicles and the fact that they have concentrated on the early war rather than the usual late fascination with Tigers, JS 2s and such like. The booster packs of infantry are available at Modelzone for £2.75 a pack and contain 10 infantry (two squads) or 2 machine guns and crew together with all the bases and game cards etc. They are made from what seems like a hard plastic; or rather a harder plastic than the usual soft plastic used for 20mm figures. Interestingly the infantry are scaled at what looks like 20mm although I could be wrong. The game uses a hex grid (hurrah) and judging by the website advert uses handfuls of dice for combat resolution. I must confess that the Russian Front early war has not really ever been my period (despite taking part in a really enjoyable Barbarossa based campaign many years ago using Command Decision) but I would be willing to have a stab at it using such a game set up. The vehicles look particularly appealing - especially the T26 tank. The website is http://art-of-tactic.com/archives/101 so have a look and see what you think. 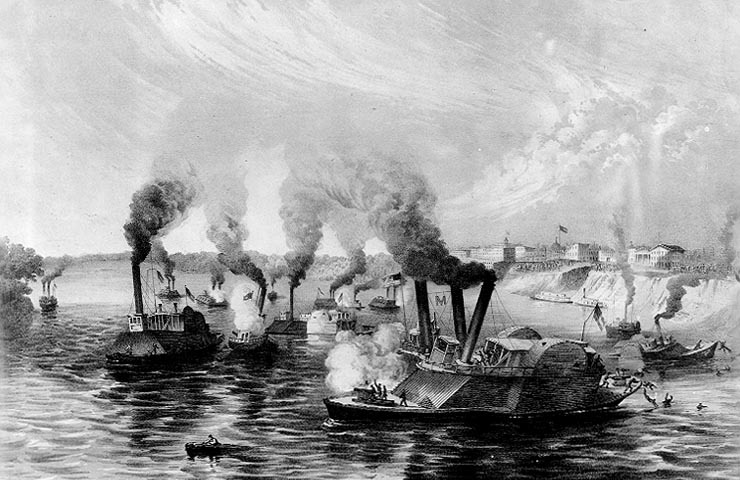 The Battle of Memphis depicted above was the second of two naval battles fought on the Mississippi and it saw the destruction of the Confederate River Defence Fleet by a combined Union squadron of gunboats and rams. The thing that caught my about this picture was the fact that the Confederate ram in the foreground has a gun mounted on the bow and the stern. As yet, my models do not and so I shall need to retroactively add some deck mounted artillery. The two General Price models I am working on (progress on which has been delayed simply due to work) are nearing completion and would have had a pair of deck guns mounted in any event but I am on the horns of a dilemma with this. Should I order some deck guns from Peter Pig from their Hammerin' Iron range or should I scratch build them? I have an idea of how to make these and will experiment over the next few days, failing that, an order to Peter Pig will swiftly follow. I freely admit that I have cheated somewhat in my choice of this particular ship for my ACW naval scratch building project. 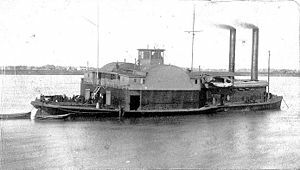 The reason is quite simple - she started life as a Confederate ship, was sunk and then salvaged and then became a Union ship! I like the design and the two models of her I am making are slightly up scaled versions of the three side wheelers I have already built for the Union rams. The top picture shows her as the USS General Price whilst the bottom shows her as the CSS General Sterling Price. The models are nearly finished in respect of the construction (and will be pictured and posted in due course) and all I will need to do in the future is to ensure that they don't line up on opposite sides in the same action! We have been and gone and done it and yesterday acquired a mother and daughter feline combo as new additions to the household. Our remaining cat, Maisy, has been pining dreadfully since she lost her partner in crime Misty, a short while ago. Originally we had three cats but lost Marmite to old age a couple of years ago and Misty of course, last year. Originally the plan was just to get one cat to keep Maisy company but these two were inseparable so we took them both on from our local cat rescue service. Mango (18 months old in the lower picture) is the mother and and is very nervous although has already found her preferred spot in the office whilst Minnie (6 months old and in a rare moment of repose in the top picture) is totally fearless and is very keen to explore her surroundings (including behind the books on my bookshelves!). Needless to say that the two of them took up most of the weekend so any thoughts about building ships went out of the window although I was able to acquire another 'Town in a bag' from Past Times in their sale. I will be building during the week though so will hope to have something ready for next weekend. 'Conquer or Die!' - A South American Diversion? Well this one came out of nowhere and no mistake! You may recall I had mentioned that I had received a £20 gift card for use at Waterstones for Christmas from my son. I have looked in all three of the branches nearest to where I work and to be honest I was not hugely impressed at any the sale stock. Succumbing I suppose to the inevitable 'judging a book by its cover' or my insatiable appetite for obscure conflicts I spotted the above title. Written by Ben Hughes and published by Osprey the book is concerned with the British involvement in the wars of liberation in South America just after the conclusion of the Napoleonic Wars. In particular, the aid given to Simon Bolivar and his campaigns to liberate Gran Columbia from Spain. I must confess that the subtitle of 'A tale of defiance, courage, disasters and man-eating crocodiles' had certainly pricked my curiosity and the scale of the operations depicted appear to lend themself to gaming quite nicely - there is even a naval perspective for aficionados of the wind and water variety. In short then, it would appear to be ideal gaming material and I will report back when I have read it. At this stage I cannot in all honesty see myself acquiring any kit for the period although given the huge amount of Napoleonic 20mm plastics available it would probably not be too difficult to cobble up something - I am almost certain that Hat Industrie produce Spanish Guerillas and many of the other uniforms could probably be 'painted over' existing figures. I will investigate this further but very much on a low priority basis. As a postscript I should perhaps point out that the seed of an interest in this era (I am also sure there is a Sharpe novel set in the period) began back in 1979 when Eric Knowles managed to sell me (and some other equally wide eyed and naive gamers!) some 25mm Minifigs Napoleonic Spanish irregular lancers (complete with the customary wide bottomed horses) from some old stock from his shop - The New Model Army Limited in Manor Park, East London. As I recall the figures were wearing broad brimmed hats and as to what became of them I cannot recall. The plan to game the South American Wars of Liberation never progressed further than that despite the astute piece of salesmanship from Eric in clearing some old stock! Hurrah!! I at last took delivery of my set of Hexon Green Flocked terrain tiles last night and very nice they are as well. As with the blue set I acquired earlier I ordered a set of 10 single tiles to go with the boxed set so that I can 'fine tune' the set up where needed. Initially I shall be using some of the tiles with the blue set for my ACW river based activities but I also have a number of other ideas for later in the year. Memoir 44 in 20mm springs to mind - not that I need an excuse for raiding the range of 20mm kits from Armourfast....;-) The picture above represents what can be achieved using this system with, for me anyway, the added advantage of being hexed! My order of plastic tubing from The Model Dockyard http://www.model-dockyard.com/ arrived this morning produced by the well known supplier of plastic card etc Evergreen. I opted for three sizes - 1/2", 3/8" and 1/4" diameter - and this will give me sufficient variety in terms of turret production. I will be tackling the monitors for the ACW project but not until I have managed to complete the next 9 models giving me 24 in all. I have a timetable for this project in that I want to be painting the first 24 models by the end of the month with a view to play testing the rules (which exist as a number of hastily scribbled notes and post-its) during February. I realise that the Christmas Carol type title may not now be wholly appropriate but given that we are still in the 12 days of Christmas I thought it would suffice for the subject in hand! The next three models for my scratch built ACW project have now been constructed and they are typical of the small river steamers converted into rams by the Confederates in their famous 'River Defence Fleet'. The basic plan with a ram was of course, to steam at full speed into an enemy ship and use the bulk of the vessel and its velocity to cause fatal damage. 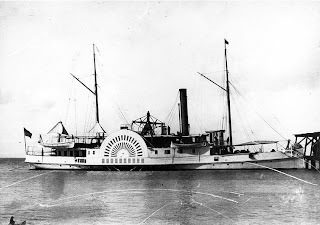 As such then, ships classed as rams usually had reinforced hulls (often with additional timber or, in the Confederates case, bales of compressed cotton) and a occasionally a large metal weight/spur/beak fixed to the bow to punch through the enemy hull. In a confined space such as a winding river a ram could be an effective weapon especially given the slow rates of fire of much of the shipboard weaponry in use. Both sides used the ram and indeed, had 'fleets' of such vessels - well squadron sized formations to be accurate! I have now built 15 vessels for this project and have decided to start painting when I have finished 12 ships for each side - 24 models in total. The rationale for this is simply because having built a usable variety of types for each side will give me greater flexibility when it comes to play testing the rules I eventually use. I have another 9 models currently under construction and want to finish these before the end of the month in order to start using them. 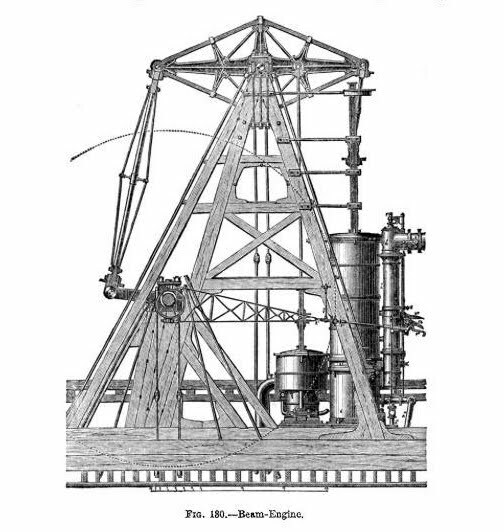 Alongside the construction and research for such an undertaking is also the rules question - more of which to follow in a later post.